Canada's RCMP watchdog is initiating a probe into allegations that Mounties raped, tortured and neglected indigenous women in northern B.C. The Commission for Public Complaints Against the RCMP is carrying out the investigation after a Human Rights Watch report from last February that alleged RCMP officers had abused indigenous women, the commission said in a Wednesday news release. 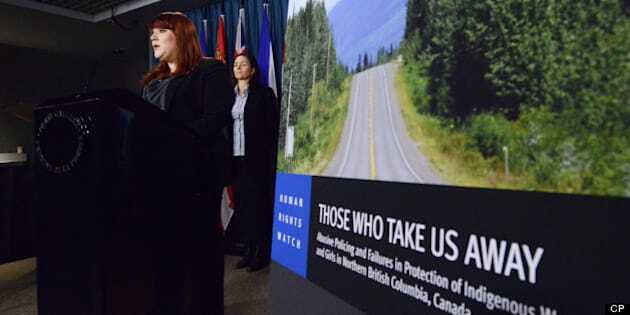 The report was sparked in 2011 when a Vancouver-based agency complained to the organization that not enough was being done to investigate incidents surrounding the so-called Highway of Tears - the stretch of highway between Prince George and Prince Rupert where at least 18 women have gone missing since 1969. Researchers spent five weeks in 10 northern B.C. towns, including the Highway of Tears, and interviewed 42 women about the allegations. Prime Minister Stephen Harper urged the commission to investigate after the report came out, but also asked potential victims to come forward by themselves. At the time of the report's release, RCMP Chief Supt. Janice Armstrong said that the allegations should be investigated, but pointed out that Human Rights Watch was not helping the police. And that doesn't seem to have changed, as report co-author Meghan Rhoad said the commission is in a conflict of interest and that the women they interviewed had issues with the complaint body itself, CBC News reported. The commission will examine how Mounties in those communities use force, and how they police public intoxication, conduct searches and handle reports of missing persons and domestic violence. And the investigation could be broadened, depending on what evidence is found, and whether other complainants come forward, said the commission. "The commission is cognizant that the potential exists that specific complaints from individuals will arise during the course of the public interest investigation," it said. "If such complaints arise, they will be handled by the commission as separate public complaints, and/or notified to the appropriate criminal process." Human Rights Watch, the Assembly of First Nations and federal opposition parties have for months called for a national commission of inquiry into the allegations. The Conservative government responded by offering up a special parliamentary committee to study missing and murdered aboriginal women in Canada. Harper, who took part Thursday in a question-and-answer session in New York hosted by the Council on Foreign Relations, was asked whether he would support an inquiry. "I tend to remain skeptical of commissions of inquiry generally," Harper said. "My experience has been they almost always run way over time, way over budget and often the recommendations prove to be of limited utility." Harper said the issue has been studied extensively, and that "it is time to pass to action." The government, he said, has invested resources to establish prevention programs and to buttress the investigative powers of police. Of the roughly 2,500 files the RCMP complaints commission handles each year, between 5 and 10 are so-called "chair-initiated" complaints. The commission can launch a public interest investigation when it sees enough evidence to conduct a probe itself, rather than handing a file over to police. The vast majority of complaints handled by the commission are turned over to the Mounties themselves for investigation, and the commission simply reviews the results. One of the more high-profile public interest investigations carried out by the commission recently was a probe of police misconduct complaints filed after the G8-G20 meetings held in Toronto in June 2010.